At Auburn Family Dental, our team understands how difficult it can be to bite, chew, and feel confident about your smile with traditional prosthetics like removable full and partial dentures. Whenever possible, we help patient avoid removable appliances for missing teeth through implant dentistry in Auburn, MA. Dental implants are the only teeth replacement solution that provides a prosthetic tooth root to natural bone health; prosthetics like dentures and bridges cannot do this. Because implants include a post that acts as a tooth root, and is surgically embedded into jaw bone, your new teeth have a stable base to rest upon. No more loose and slipping dentures; implants provide the stability, longevity, and natural feel of real teeth. While most dental offices refer the surgical placement of implant posts to outside specialists, our skilled dental team has the knowledge and training to place your dental implants right in our office. For patients with bone health issues, who may not be immediate candidates for implant surgery, we can also provide pre-implant treatments, such as bone grafting. These procedures help to build up areas of diminished bone, so your implants can provide lasting results. Implant-Supported Crowns – If you have just one missing tooth, or sporadic single tooth loss throughout your smile, single unit implant posts and crowns provide an ideal treatment solution. Bridges and Implants – Those with groups of lost teeth can benefit from dental bridges secured with two implant posts. Instead of filing down healthy teeth, which is required with a standard dental bridge, implant bridges rest on implant posts and do not negatively impact existing teeth or soft tissue. 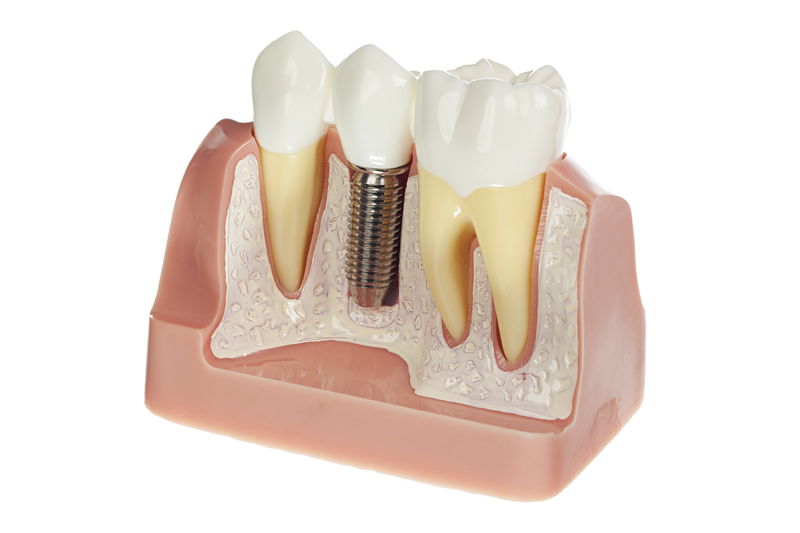 Implant Dentures – Removable dentures are not known for their stability or comfort. But by stabilizing a full arch-prosthetic with several implants, your replacement teeth can help you bite and chew with renewed strength and will not come loos throughout the day. Implant-supported dentures are the best way to replace a whole arch of missing teeth in a way that feels natural and comfortable. Whether you need single implant placement or whole arch restorations with implants in Auburn, our dental team can help. Our comprehensive approach to dental care and implant treatment allows us to meet all of your needs at each phase of your treatment plan and prevent the need to visit an outside dental office . To schedule your implant consultation, call our Auburn, MA implant dentists at 508-832-4141.